You can help! Studies have also shown that charity is linked to better measures of mental health. Even though few of those who donate to charity ever see exactly where their money went, the act of giving itself can led to happiness and satisfaction. Are you an independent consultant? Do you sell your crafts or homemade items? Download the flyer below to post in your office and community. You can also attach this file in an email. 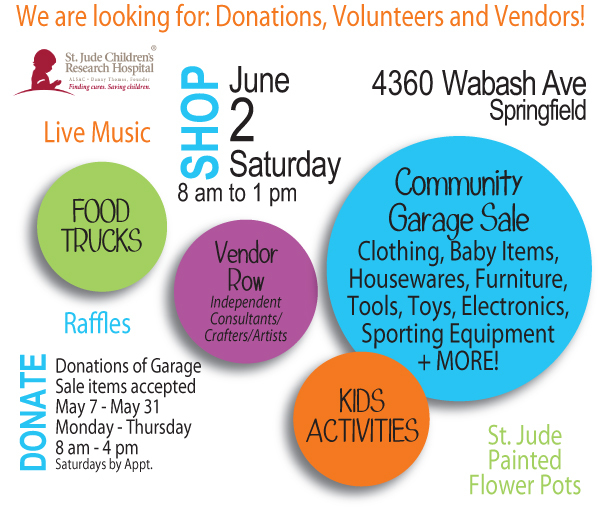 In conjunction with the Statewide Day of Giving, the IIA of IL will host a Charity Garage Sale Event on June 2 to benefit St. Jude Children’s Research Hospital. Contact Deann French with questions at dfrench@iiaofil.org. Copyright 2019 by IIA of Illinois.